I continue to defend myself against the Capilano Honey Ltd big company but it is a weight on me. My public-interest lawyer (Mr David Barrow) has being doing an incredible job against Capilano’s high-paid Sydney lawyers. A fresh defence was filed 30th January which was 99 page long! (27,000 words!) That’s a lot of work. Capilano are attacking me for 106 publications with 666 things they say I should not be saying about them. And Capilano keep complaining about things I have written since 2017 (including on these GoFundMe updates). I am so thankful that my lawyer David Barrow has been doing this at less than 15% of his full fees. Now Capilano are attacking me all over again with their deep pockets. An "interlocutory" hearing is set on the 14th February to have another go at me. With no final trial date in sight. David Barrow is also representing me in the Court of Appeal against the Judge Dixon judgment of last year so that I may speak about things that are so fundamental to all Australians in “questions of trade, and health and safety regulation” of honey products (which a NSW court allowed but has so far not been allowed in VIC). I have asked you all for help in the past and people have been so kind to give. I am feeling a bit exhausted now to be honest asking again for help but I need funds to keep fighting to defend myself and for the bees, beekeepers and honey eaters. Please contribute to my legal fund. And for the first time I also ask for some funding for my own living expenses. My rent and groceries and to help with my son Oscar who had a bad bicycle fall last week. $6,000 would really get me afloat but I do appreciate every dollar that is so kindly donated. If we all donate a small amount to the legal fund and continue to support our local beekeepers on the honeymap We will win this. You can support your local beekeeper by buying local honey via the honeymap. Capilano corporation’s lawyers have lost again in their quest to silence food security activists but still they pursue me. The Top Court in NSW (the Court of Appeal) has released a judgment. These are the same sorts of things big company Capilano Honey Ltd got the Courts to stop me saying via “interlocutory injunctions” (legal speak) while I try and defend myself. 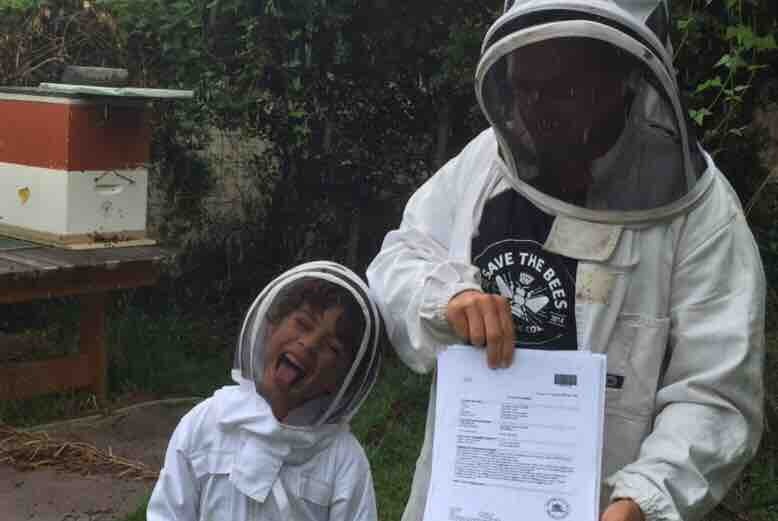 Shane can now participate in the honey safety debate again which a judge described as “of broad public concern raising complex questions of trade regulation and health [and] safety regulation”. The NSW Appeal judgment also gives a boost for my own application in the Supreme Court of Victoria for Judge Dixon to “vary the orders” which have been pressing down on me. Hopefully Judge Dixon’s decision will be delivered soon. Watch this space! Thank you for your contributions to my legal fund. They support me to speak up for the bees, beekeepers and to promote those who sell pristine raw honey. A small donation by many will allow me to stay in this fight. I was dragged back into Supreme Court of Victoria by big company Capilano Honey Ltd. But this time I had a lawyer thanks to your funding! Capilano have me under legal attack to stop me speaking up for the bees, beekeepers and honey-eaters in Australia. That can all be sorted out at Trial. Hopefully before a JURY of common sense people like you. But back in May 2017 the Capilano top Sydney lawyers outmanoeuvred me with “Interlocutory Orders” (legal speak) that have been pressing down on me ever since. These mean I could be in Contempt of the court right now if I say some things before the Trial even happens. The list is in a public document already! And I am facing possible Contempt of court if I set a foot wrong. Some of you may know that journalist Shane Dowling went to prison last year for 4 months for Contempt of court. And last month he was shockingly sent to prison again for 18 months. The same Sydney lawyers who made that happen are the same Sydney lawyers who Capilano have hired! I need to be there for Oscar not in prison. We tragically have lost Oscar’s Mum. It is hard to know what Capilano are even saying I’m doing that is Contempt. The Capilano complaints have even been slung at me for my posts asking for help on GoFundMe. Complaints for what? My legal eagle persuaded Judge Dixon to allow me to make an Application to “vary orders” to get this Contempt pressure off me. So I can breathe better and tell you what is happening and keep speaking up for the bees and the community. Thursday 20 September the Application can be filed. 27 September Judge Dixon will then hear it for half a day. With all my supporters very welcome in court! Capilano top Sydney lawyers said in open court they estimate their clients have spent about $2 million already on this case! Sickening, I know. Think of all the honey bee product testing they could do instead. Like funding the Sunshine Coast Uni for NMR (Nuclear Magnetic Resonance) testing. With community support I have raised (and now spent) over $30,000 to defend against the Capilano legal attack on me. As my lawyer wrote to the Court “there is a disparity of arms”. That’s for sure. It’s a big job to get the Application ready in time. This costs money for lawyers. I want to seize this chance. With your funding help! Wow! The Beekeeper and Honey-eater world has gone from amber to red alert. 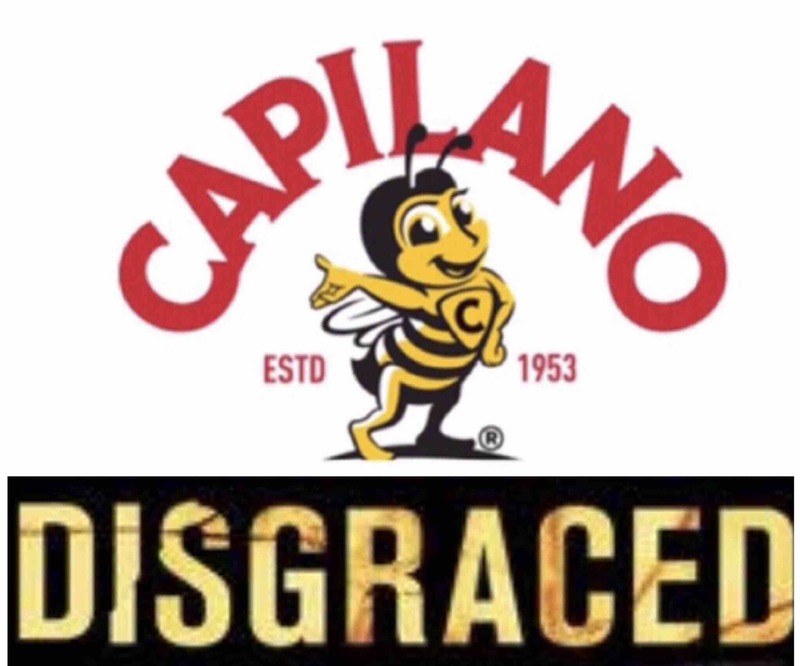 ABC and Fairfax have published a joint-investigation of Capilano accused of selling fake honey. All this is happening while big company Capilano Honey Ltd is suing me in the Supreme Court of Victoria. It’s a “Permanent Injunction” legal attack to try and remove what I have said publicly and not allow me to say anything like this again. I don’t want to be in Court. I am the “defendant”. I simply tried to speak up for the bees and the community in Australia. Kind donations helped me pay lawyers to prepare the first part of a legal defence. Yep that’s for sure. I’m in unfamiliar dangerous waters. Having my own professional lawyers helps me fight back. This costs money. Please support me to keep funding a legal team and expert witnesses. Judge Dixon says I will not get a JURY TRIAL if I do not have lawyers. And I want a JURY of common sense people in the community to decide this case. Friday 20 July, I represented myself against big company Capilano Honey Ltd in the Supreme Court of Victoria. I don’t have lawyers so did the best I could alone in the directions hearing and am allowed now to put in an updated defence by 24 August. Judge Dixon warned me how ruinous litigation can be. He didn’t need to tell me. I don’t want to be in Court. I am the “defendant”. I did not start this legal case. I simply tried to speak up for beekeepers and honey eaters in Australia. Capilano Honey is suing me to try and remove what I have said publicly and not allow me to say anything like this again. “Permanent injunction” in legal speak. But I am not going away. I want to speak and not be stopped from speaking for the bees and the community. He is right. This case has been running for 2 years. I am doing the best I can and finally got permission on 30 May to have the case transferred from NSW to my home State of Victoria. Capilano Honey is based in Brisbane, Queensland but started this whole case in Sydney NSW. As you can imagine there has been a whole bunch of highly paid Sydney lawyers stacked up against me. So I got the case transferred! It’s a big win for me. But there are lots of challenges to keep defending myself. It’s all getting more complex and I need a shark cage and some shark repellent. This costs money. 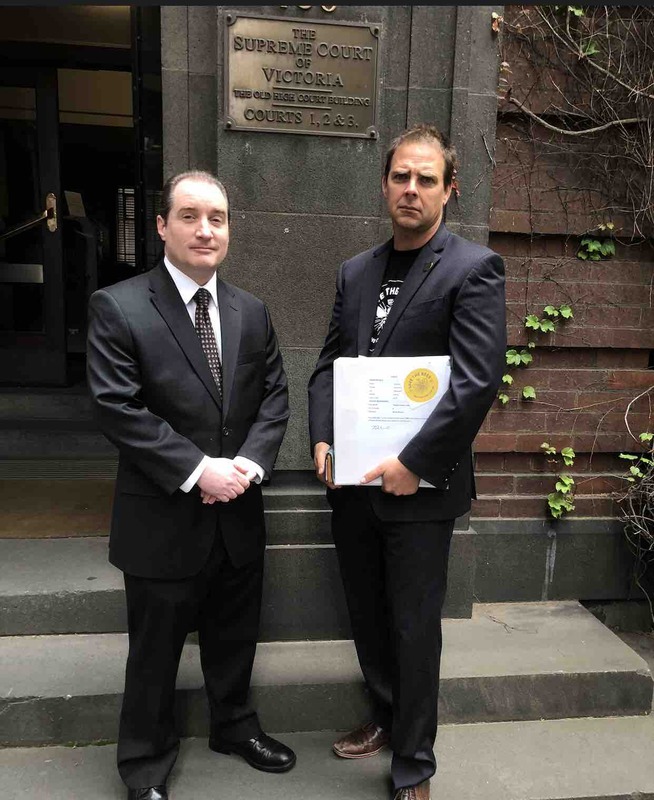 Capilano Honey Ltd have been suing me since 2016 after I wrote some articles when media reports said there may be alkaloids (some call them toxins) in Australian honey. I recently wrote to Capilano inviting them to join with me to have Capilano honey independently tested instead of dragging me through the courts. So I ran a Facebook Poll asking whether I should get a German Lab to test Capilano honeys? Your Votes and Comments were amazing! Over 2000 people voted YES! Less that 1 percent voted they trusted Capilano to do their own testing. "German laboratory testing is a great idea- authentic, honest and dependable food testing laboratories." Pauline’s comment: "Nothing to fear if product clean! Bring it on..... The Honey War still rages!" 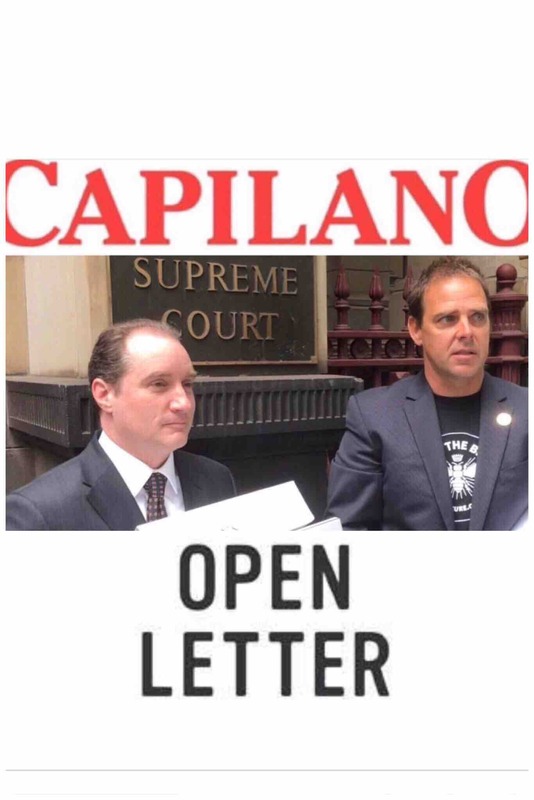 I am sorry and very disappointed to report that a Judge of the Victorian Supreme Court has ruled Capilano Honey Ltd have been allowed to continue to restrain my right to free speech. I find the ruling difficult to reconcile with the fact that last month three judges of the NSW Court of Appeal ruled that all suppression orders restraining another journalist Shane Dowling speaking freely about Capilano Ltd were to be lifted. Mr Dowling was making similar observations about Capilano Ltd on social media to me. How can three judges in the NSW Court of Appeal rule that on the it is important for all journalists including Shane Dowling to be allowed to speak openly in the current public debate about honey food security BUT a single judge of the Victorian Supreme Court has now ruled that on the “balance of convenience” I must be restrained by Court Order from making similar observations in relation to Capilano Ltd’s business practices ? What could be more important than full open discussion about food security and honeybee welfare? Capilano LTD achieved this outcome without producing any evidence as to the quality of their imported honey they sell under subsidiary brands. I have decided to hire a public-interest lawyer David Barrow. He knows I’m in for a long fight and has experienced a few of these. David Barrow is an expert at navigating the tricky and tedious court process and is a vigilant #freespeechadvocate for me. Fortunately Mr Barrow has agreed to work at a reduced rate and run an appeal. I will instruct him to take this all the way to the High Court if I need to. It is too important. I cannot allow this corporation to silence me. I have an obligation to bees and future generations. Judge Dixon’s judgment said I had not supplied enough evidence that things have changed enough since the injunctions were made on 25 May 2017. Despite on Sep 2018 just about everyone in Australia knows that ABC and Fairfax published a joint-investigation of Capilano accused of selling fake honey. And in Oct 2018 aMacquarie Uni science lab found that almost 20 per cent of Australian honey samples (unidentified) were found to not be pure. News reports are not enough said Judge Dixon. I NEED HELP PLEASE to raise funds to subpoena scientific testing and to find a scientist who can present the scientific evidence to the Court. If we all donate a small amount to the legal fund and continue to support our local beekeepers we will win this.